As some of you may know, my lofty goal for 2019 is to summit the high points of 49 of the 50 States. Much of the high pointing, as it is called, will occur over the summer. However, since I’m back home in Vermont for the winter, I thought I might as well get started! So, it was only natural to start with my home state’s high point. 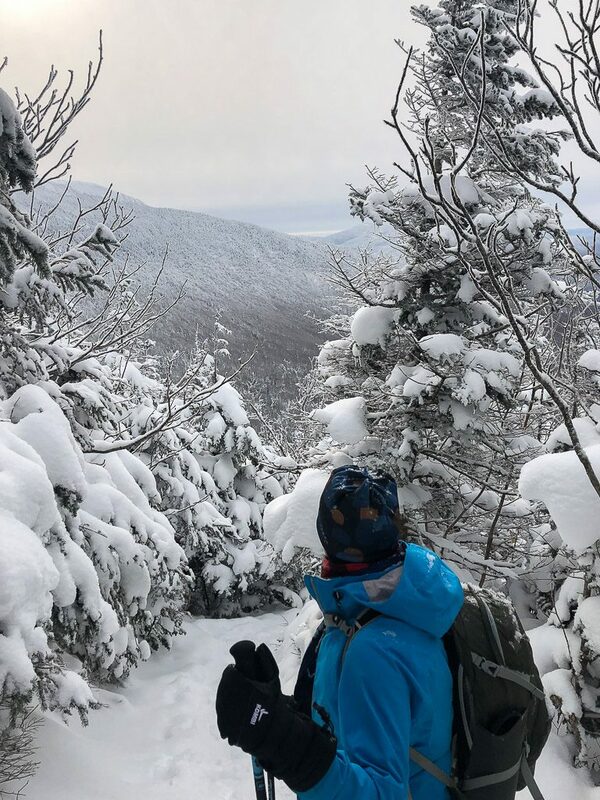 Mount Mansfield isn’t technical and can definitely be done as a winter hike, granted you have a good weather window. So on a cold Saturday morning in January, a friend and I set off to reach the top of the Green Mountain State. Mount Mansfield is Vermont’s highest point, the highest point in Vermont’s Green Mountains. At 4,393’, Mount Mansfield is the tallest of Vermont’s 4,000 footers. Behind Mount Mansfield you have Killington Peak (4,235’), Mount Ellen (4,083’), Camel’s Hump (4,083’), and Mount Abraham (4,006’). On the mountains East side you’ll find one of Vermont’s well know ski resorts, Stowe. They say Mount Mansfield’s profile looks like a face laying down and looking up. It has a Forehead, Nose, and Chin. The highest point is located on the mountains chin. I had done Mount Mansfield in the summer (July 2016), but in the spirit of completing 49 high points in a calendar year, I had to repeat it. Plus, a winter summit would be a completely different experience and challenge, and I’m all about new experiences. Vermont definitely has some beautiful Alpine Terrain. I had decided on hiking up Mansfield using the same trail I did in summer, the Sunset Ridge Trail from Underhill State Park on the mountains west side. The state park is basically shut down in the winter, and they only remove snow from the road part way to the park gate. There was a make shift parking area however, and when we arrived there were several people there getting ready to backcountry ski or split board. Walking the snow covered road however wasn’t bad at all, and it wasn’t too much of a walk to the gate, and then the main summer parking area. I didn’t record the distance from the winter parking to the summer parking area, but it wasn’t more than a mile I’d say. Want more info about the gear I used to complete this hike!? Click Here! After leaving the road onto Eagles Cut Trail we didn’t see any fresh tracks. However the trail had definitely been used and was packed down nicely under a couple inches of fresh snow. After a short while we ran into a couple cross country skiers at the point where the CCC road curves off and the start of the Sunset Ridge Trail begins. Once on the Sunset Ridge Trail the snow was gorgeous!!! Big fully piles of snow adorned every tree in sight, it truly was like walking in a winter wonderland. This totally lifted our spirits and made us forget about the -2 degree temps. A quick glance back shows the progress made. It was actually really easy going for quite a bit of the trail, it doesn’t get real steep until just before breakin tree line. The one thing I’ll mention is it gets tight. With the depth of snow on the ground, and the weight of the snow on the trees, everything closes in around on the trail. We did our best not to bump branches and knock freezing cold clumps of snow onto our heads! Breaking tree line offered surprisingly descent views. It was a cloudy day and a storm was coming, but we still could see far enough to spot Lake Champlain, and even some of New Yorks Adirondak mountains beyond. We also got a good look at the summit, it was eerily coated in a thick white glaze, honestly looked cold as hell. Trudging along above treeline the route finding became a bit more difficult. At first we were able to see a couple small cairns, but the landscape was completely covered in a layer of frozen white. We did get lucky a couple times and see the hint of a blue blaze painted on a wind cleared rock surface. Somewhere along the way we got off trail. We found ourselves stopping frequently and findng that our only options in any direction were to plunge through hip deep snow. What we had come to realize later was that we needed to stay high on the rock, and should have ignored the tempting direct route to the mountain. We battled for a long time in really deep snow, sinking next to short trees we didn’t even know where buried under the snow. The frustrations eventually came to the surface, but our determination never wained. I was set on making it to the top. We eventually came to the conclusion that a bee line to the rocks, and a more steep climb would be so much easier than postholing in super deep snow. We did make those rocks, and with some head down type determination we reached the top of the ridge, followed it to the north, and found ourselves on the top at last! We were honestly surprised to see so many people up there. We saw no one on the trail we took to the top, but apparently lots of folks decided to come up from the Stowe side of the mountain. There were a good handful of skiers, and another climbing group. By now I was starting to have trouble with my toes freezing and my climbing partner was having issues with her hands being cold. We took quick summit shots, and headed back down the way we’d come. Except that on the way down we followed the much easier to walk rocky ridgeline. Per usually we made it down the mountain much faster than we had ascended, and by the time we reached the car the snow had started. We truly did get a good weather day all considering. There was little to no wind, and even though it was frigid cold and a storm was coming, we had some pretty awesome views! 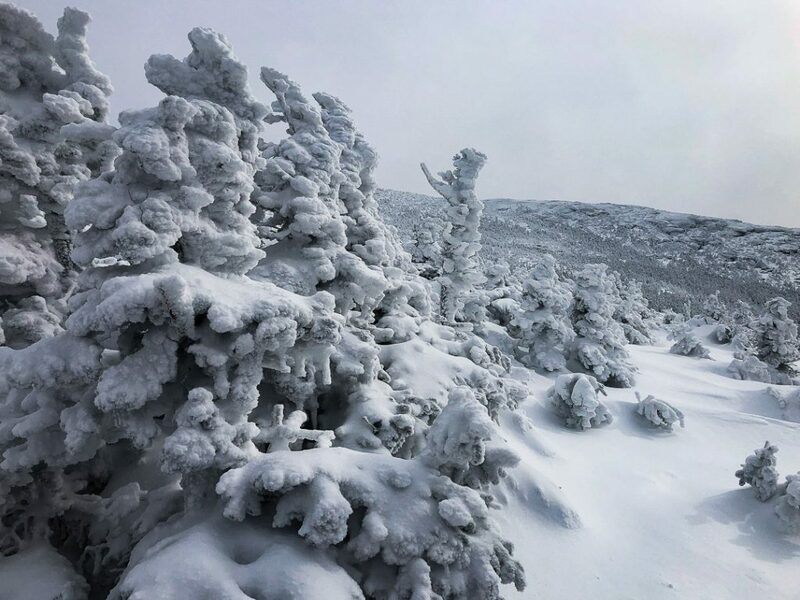 Vermont’s Green Mountains may not be high in altitude, but in winter, it is true alpine. The small trees that survive up there are coated by wind and snow in a brilliant white display of natural sculpture. 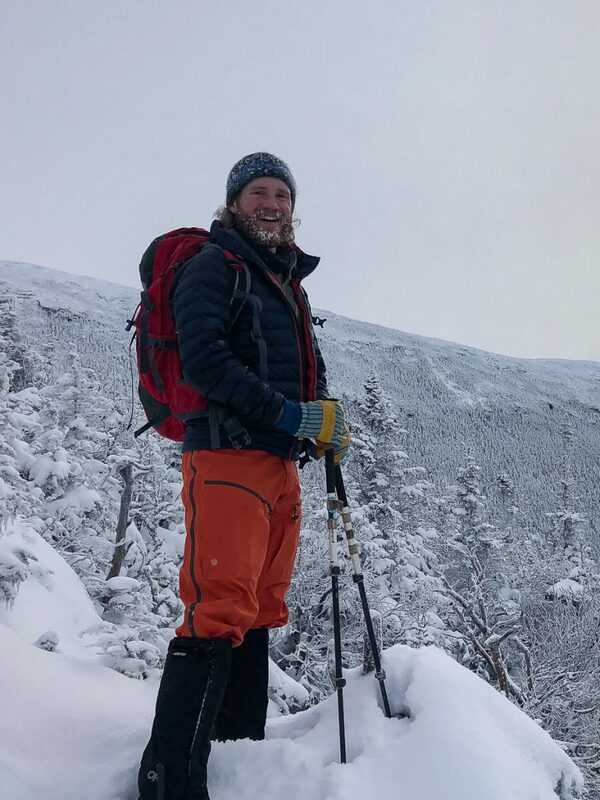 I’ve done other winter climbs here in Vermont, and the experience is always appreciated. 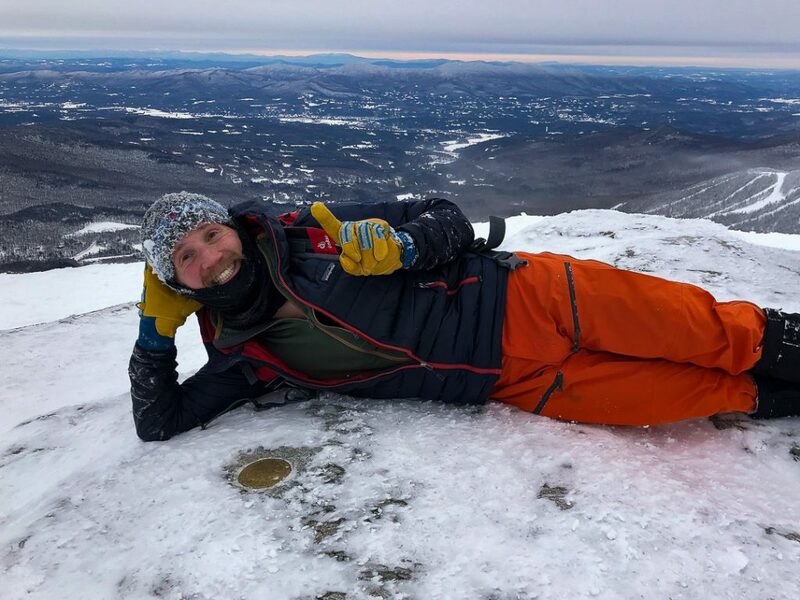 I feel I’m off to a great start in tackling 49 high points this year, next up will most likely be Mount Marcy in New York. Stay tuned for that! Atop Mount Mansfield. The first of my 49 High Point goal. I have always dreamed of adventure. I grew up reading books about adventure, and watching movies with adventurous plot lines. I recently realized I needed to stop dreaming and start living these adventures. They say, “where there is a will, there is a way”. I’m here to find that way and to inspire you to find yours. They are very different hikes depending on the season, each its own challenge. Thanks so much for your comment!